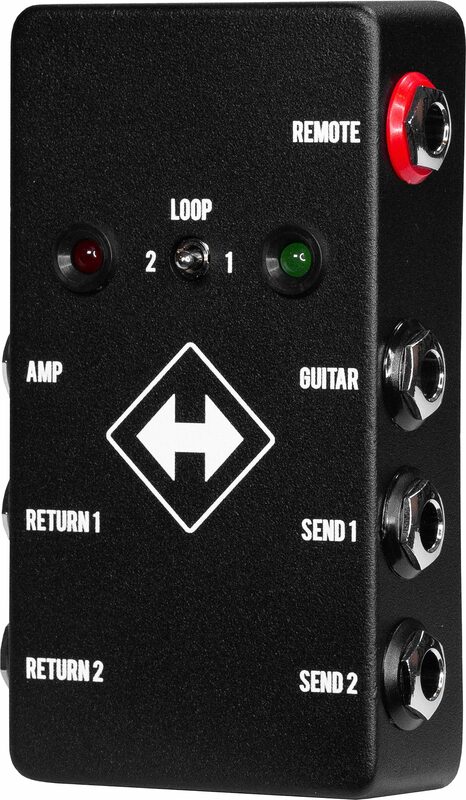 The JHS Pedals Switchback is a small unassuming box with a massive feature set. It began its life as a device that we designed just for ourselves to test and compare pedals in the JHS workshop but we soon realized that it was extremely useful for everyone's guitar rig on stage or in the studio. 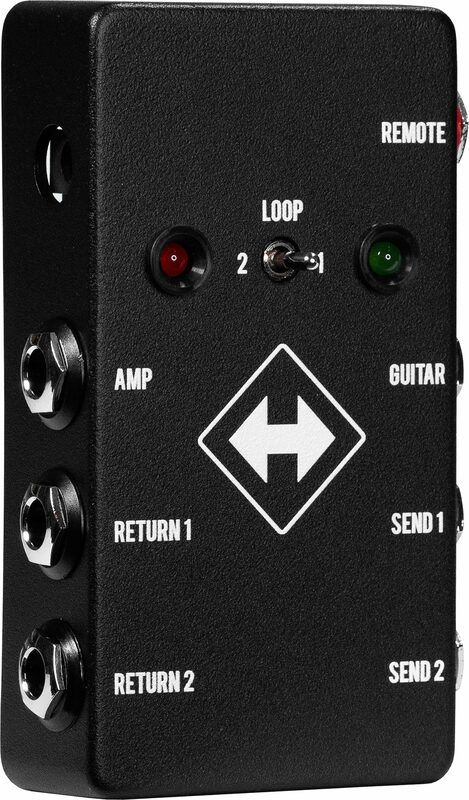 The Switchback has one input, one output and two separate selectable effects loops (Send/Return), plus an A/B toggle that is controllable by our Red Remote switching system. The foot-switch is 100% true bypass, so when it's off, it's not affecting your signal in any way. There are millions of ways to use the Switchback (Maybe not a million but... You get the idea) but here are a few of our favorite applications that are incredibly useful! Place a pedal or chain of pedals in the first loop and place a different pedal or chain of pedals in the second loop. The toggle/red remote will allow you to quickly switch between those two loops. This is great for instantly placing different effects chains in and out of your rig on the fly or for shooting out two pedals with zero dead time in-between playing... Find out if that old TS808 sounds better than your TS-9 :-) if you demo different pedals, this is a must have. Place your pedal or chain of pedals that you want in the first loop. The toggle/Red Remote will now toggle between the loop with your effects and the clean bypass signal. There's no need to bridge the second loop with a patch cable as the Switchback automatically bypasses any loop where there's nothing plugged in to the jack. Simply use Send 1 and Send 2 to go to two different amps or any other application where you need two switchable outputs, and don't use the output. Again, using the Red Remote gives you the ability to switch on the fly while playing! Use Send 1 to channel one and Send 2 to channel two. 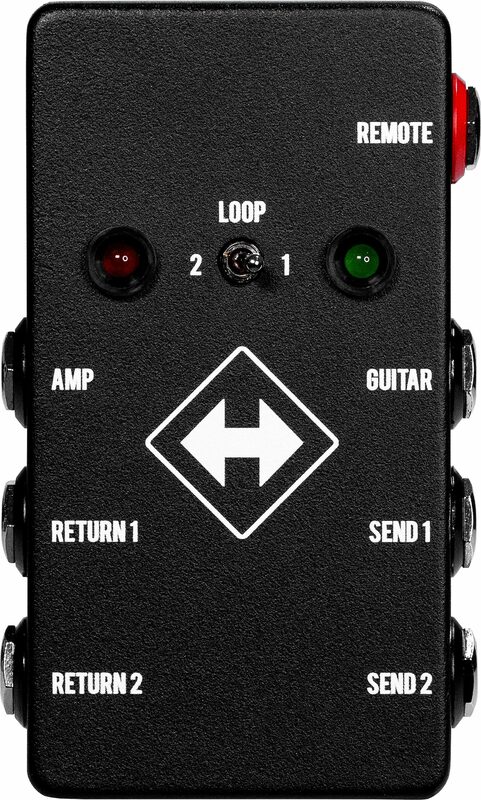 This allows you to "channel switch" on any amp with multiple inputs like old Marshalls and Fenders! Plug your amp's effects loop Send into the input and the amps return into the output. Then toggle between the two loops of the Switchback as in example #1 above. 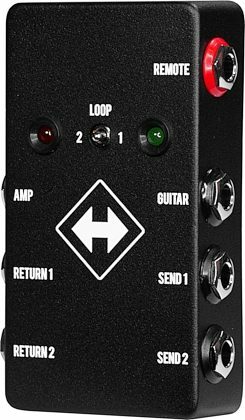 Because of the red remote function you can place the Switchback and any effects in its loops completely out of sight under your pedal board or in a rack while only having the small 1x1" Red Remote accessible!!! The Switchback could become an essential utility in your touring rig or studio, helping you solve many switching puzzles with your rig. So grab a Switchback and get to climbing! zZounds is an authorized dealer of JHS products.